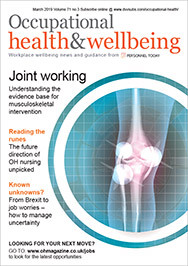 Cancer in the workplace is an increasingly important issue as the workforce ages, but research shows managers lack awareness of appropriate health benefits and good practice when communicating with staff. Professor Gordon Wishart looks at the findings and offers guidance for HR, occupational health and line managers. Cancer rates continue to rise, with figures released by Cancer Research UK showing a 12% increase in the number of cases since the mid-1990s. More than 352,000 people are now diagnosed with cancer in the UK each year, compared with 253,000 two decades ago. Of the people diagnosed with cancer in the UK each year, more than 100,000 are of working age, and estimates suggest that, in total, more than 750,000 people of working age are now living with a cancer diagnosis. Health insurance company Unum has also reported that the disease is the biggest cause of long-term sickness claims, accounting for almost one-third in 2015. Survival rates are increasing, too. Fifty per cent of patients are now surviving 10 years after a cancer diagnosis. This does not necessarily make things easier for the employer, however. As cancer becomes more like a chronic illness, it requires longer-term attention and treatment and appropriate support from employers as part of their duty of care. Employees with cancer want to feel they are dealing with human beings and not a corporate entity. But to feel confident enough to take a personal approach, OH and line managers need to be clear on best practice. That means creating agreed policies and processes – a framework for how your organisation supports its people with cancer. This includes deciding who takes the lead in managing the relationship, the kinds of questions that need to be covered at different stages (from diagnosis to managing the return to work), how to ensure ongoing and open conversations, and making constructive plans to find the best outcomes for both employee and employer. Don’t just stick to a script in your head. Be sensitive and responsive to individual needs and moods. Listen and encourage them to take a lead in talking about how they’re feeling, both physically and emotionally. Choose an appropriate location for a private conversation and make sure you will have enough time and won’t be interrupted. Stay calm, but show that you know it is natural for them to be upset and express different emotions. Be patient and reassure them that silence is fine. They might want to use a joke as a means of coping with the stressful situation, but don’t be the one to initiate the humour. Encourage the employee to speak freely and show you’re listening by prompting them to tell you more. Don’t jump in with advice or clichéd responses such as “everything will work out” or “I know lots of people who have recovered”. As a first step, discuss whether or not the employee wants their colleagues to know about what’s happening, and any immediate needs in terms of time off for treatments. Be ready to provide initial information on support around counselling, time off, flexible working and work adjustments. Provide options for future conversations to find the best approach for ongoing dialogue. They might prefer to speak with a line manager, the employee assistance programme, or someone in the organisation that they see as “neutral”. When an employee has had a cancer diagnosis, agree with the individual what can be said, to whom, and who’s going to do the telling. There may well be people he or she wants to speak to personally, but cannot face large numbers of conversations. Be clear about the level of information that should be passed on, and if there are details about the condition or treatment the employee would prefer to keep private. In your communications it’s important to do some thinking with line managers about the implications for colleagues. Be honest but constructive and positive, demonstrating the organisation’s preparedness and ability to manage the situation. Be ready to provide support for employees who are concerned about their own health and cancer risks. Offer help about how and when they can be tested or where they get advice on symptoms and risk factors. More than one-third of the UK workforce will also be aged over 50 by 2020 (Office for National Statistics), which means a growing proportion of employees affected by cancer. The question is, do employers have policies and processes in place to both demonstrate the necessary support for their employees and minimise disruption and costs? Research was commissioned in February 2016 among 500 HR professionals in the UK to explore how employers are responding to the cancer epidemic, the plans being made, changes being introduced and views on the readiness of their organisation. A central finding was the lack of planning among organisations to manage the risks relating to cancer. Seventy-one per cent of the HR managers surveyed said they do not have any policies in place for communications and management of employees with a cancer diagnosis. This figure rises to 89% among small firms. When it comes to cancer survivors returning to work, 61% of HR managers say they do not have any policies in place for communicating with and managing employees. Nearly half of HR managers believe line managers are unprepared when it comes to managing employees with cancer, with 13% saying they didn’t think they were prepared “at all”. The figures are higher in large organisations (those with more than 10,000 employees), with 53% believing managers were unprepared. At the same time, more than half think the line manager relationship is one of the most important forms of support for employees with cancer (45% opted for HR support; 40% colleagues; and 38% occupational health services). The results of the research pose questions about how far employers are relying on managers to think on their feet, and treat cancer diagnoses as just another people management issue. Line managers – and HR professionals – are being expected to provide reactive responses to highly emotional and difficult situations, both in terms of an immediate response, and in setting out ongoing support to help the employee recover and return to work if treatment is successful. 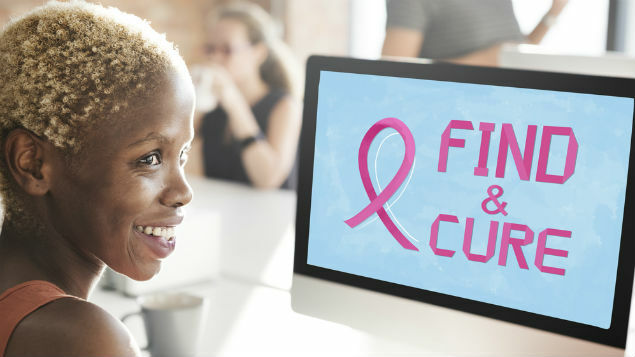 Despite the prevalence of the disease and its serious consequences (64% of HR managers in organisations with between 1,000 and 10,000 employees say cancer is an issue currently affecting people in their organisation), cancer has yet to become a priority for employee health benefits. Seventy-one per cent say their organisation doesn’t provide any information on cancer awareness, or early detection of the disease through screening as a health benefit. Forty-four per cent don’t currently offer cancer services and don’t plan to in future, and 45% don’t offer any kind of health screening. The lack of formal planning for employee support and benefit provision linked to the growth of cancer cases is happening despite an increasing awareness of the need to attract and retain the best staff. Asked about the biggest issues facing HR departments in 2016, most survey respondents pointed to the task of finding qualified employees (51%). The limited response may be rooted in the low levels of recognition among senior executives within organisations for the potential implications of cancer in the workplace. Forty per cent say they don’t think senior executives in their organisation are aware of the potential risks and costs. Just 12% say they are very aware of the risks and costs presented. However, the HR professionals surveyed believe there will be significant impact on business performance. Fifty-two per cent of HR managers think there will be a medium or high impact on levels of absenteeism from rising numbers of cancer cases and “survivors” returning to work; 49% expect a medium or high impact on staff planning; 43% on private medical insurance (PMI) premiums; 39% on other insurance premiums; and 38% on revenue or profit loss. Some employers are responding to the cancer threat with new and adapted employee benefits. Thirty-four per cent of HR managers have introduced free counselling specifically to help address cases of cancer, while 25% have brought in extended, non-statutory leave and 20% say they now offer family support services. In addition, 27% say their organisation is in the planning stages of introducing screening, 10% have brought in health cash plans as a measure to support employees, 6% have subsidised travel costs and 5% have PMI for cancer care. Interestingly though, 34% say the biggest hurdle to introducing new employee benefits under salary sacrifice is finding the kind of “quality benefits” needed to help attract and retain staff. Among organisations that do provide cancer awareness and/or screening programmes, the benefits are still new; on average, the offerings have only been made since 2012-13. Cancer in the workplace is an issue that is suffering from a lack of awareness and clarity. In response to the survey, HR professionals did not agree over whether or not employees should have to be open about their condition. Nearly half (46%) think staff should always have to tell their employer – contrary to current legislation. HR continues to be confused over what employees are receiving in the way of screening for early detection. Forty-three per cent wrongly thought prostate cancer was screened routinely by the NHS; while 22% and 17%, respectively, thought testicular cancer and lung cancer were checked, when this is not the case. Professor Gordon Wishart is chief medical officer at Check4Cancer. The Cancer in the Workplace 2016 report can be downloaded from the Check4Cancer website.